A few years ago, when Richard Ybarra was undergoing the extensive interview process that eventually would result in his being appointed as Executive Director of the San Diego Braille Institute, he was beset with a bit of anxiety. The discomfiture was not due to concern about being selected; rather, he was torn as to whether he should accept the position, if offered. Ybarra already had enjoyed a successful career in non-profit organization management and, at the time, was being considered for a position that would have been more lucrative than the Braille offer. The struggle was between the pocket and the heart. The heart won. The triumph of Richard Ybarra's better angel in bringing him to the Braille Institute, apparently is a carryover from his association with a real-life angel of humanity: Cesar Chavez, the late founder of the Farm Workers Movement. 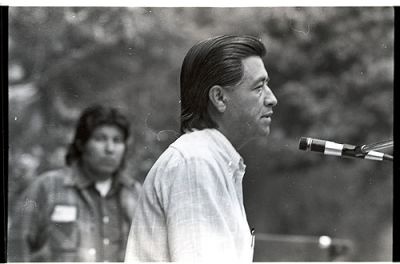 As a young tyro in an era of social upheaval and activism, Richard was drawn into the heady atmosphere of Cesar Chavez's world. He was smitten not only by the deep dedication of that charismatic leader, but by his daughter Anna, as well. They became the proud parents of two girls and two boys, all now contributing adults, along with their new family leader, grandson Rex. Richard Ybarra was born, reared and educated in San Diego, California. The exception was his attendance at Harvard University. Richard credits his active engine to his mother. She, herself, could not be corralled. His mother, along with other members of the family, became a part of the Cesar Chavez coterie. 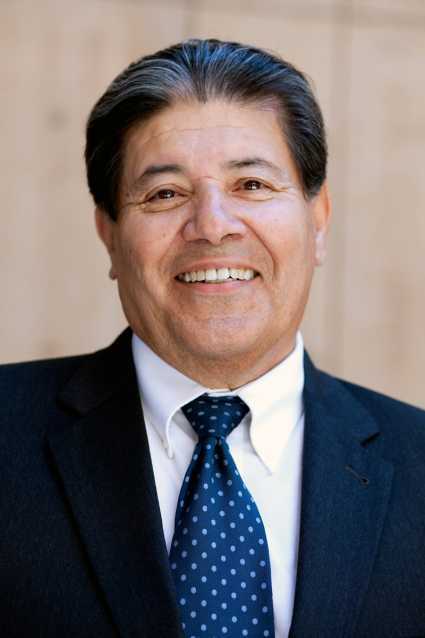 Richard garnered such trust and confidence from Cesar Chavez that eventually he became his chief go-to person, his man Friday – scheduling travel, chief of security, writing speeches (and sometimes giving them). 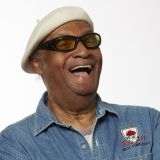 Included among his many, sundry assignments, was writing for the movement's newspaper, El Malcriado (rude, crude). So indispensable was he to Chavez, that, wherever in the world Cesar Chavez happened to be, Richard Ybarra would be close at hand. The two became far closer than in-laws. In all Richard spent more one on one time with Mr. Chavez than anyone outside of few family members. Since becoming Braille Institute Executive Director, Richard Ybarra has striven mightily to expand the public's knowledge of the Braille Institute, as well as to increase the participation of those with afflicted vision and other disabilities. His outreach to the Latino community – which previously went underserved – has been so successful that one of the five Braille weekdays has been designated for the Spanish-speaking. Quality of services and customer service are big on his agenda. At the top of his lessons- learned list from this experience has been the notion that "you can lose your sight but you can never lose your vision!" The Braille Institute offers a wide variety of free classes and services. Apart from the teaching of Braille reading and writing, instruction and participation covers a wide variety of interests: technology, manual arts; independent living skills, language; music; gardening; cooking; and many others. The Braille Institute occupies a beautiful hacienda-type edifice, near the La Jolla Village Shopping Center. Ybarra added that "it takes a dedicated and inspired team to provide great services and we have just that here at Braille Institute." It is always pleased to receive donations or bequests to continue providing valuable free services. Volunteers of all stripes are the heartbeat of the institute's work and are constantly are in demand. The Braille Institute San Diego's Regional Director talks about the free services offered at the center at his vision for the future of the organization. What a fascinating man, thanks for sharing with us.